The ability to tweak and mold a Windows Phone into something that perfectly fits our lifestyle and schedule is one of the platform's biggest features. 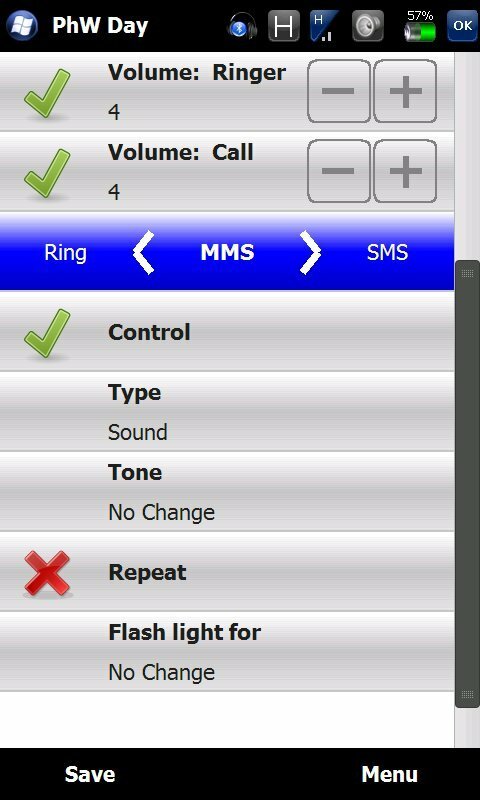 Tools like SBSH PhoneWeaver give you the power to manage your settings in a way that gives you a lot of control while simplifying the configuration and management of your settings. PhoneWeaver gives you the ability to create profiles that contain a collection of settings. Each Profile you create contains settings for sounds and notifications, communication settings like WiFi and Bluetooth, and settings for the backlight. Also contained in each profile is the trigger, or the way that the profile is activated. Triggers can be based on time, agenda, or location. The flexibility that can be attained through using different triggers to manipulate your settings is amazing. From the perspective of the user interface, PhoneWeaver gives you access to the tools you need to configure and use your profiles, but it is a little rough around the edges. 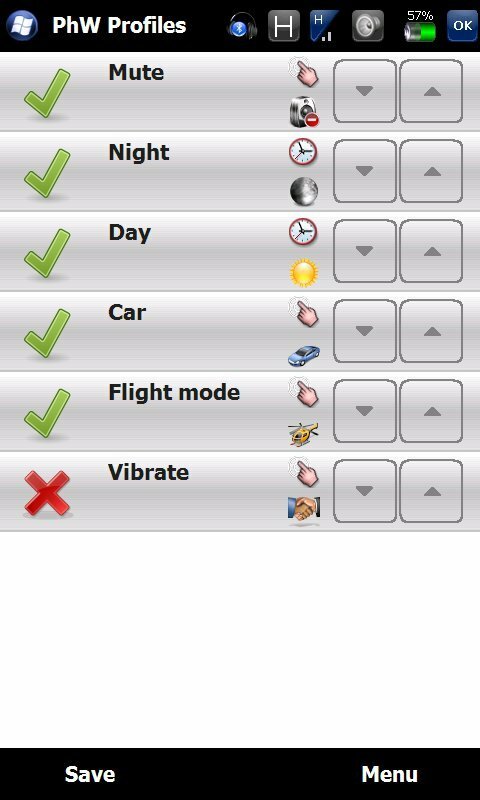 PhoneWeaver has several different parts to the interface. Much of the interaction with the application is done through the PhoneWeaver menu, which pops up over your current application and allows you to choose a profile, manipulate individual settings or access the PhoneWeaver options. The PhoneWeaver menu can be accessed through a shortcut placed in the Traybar or Taskbar. 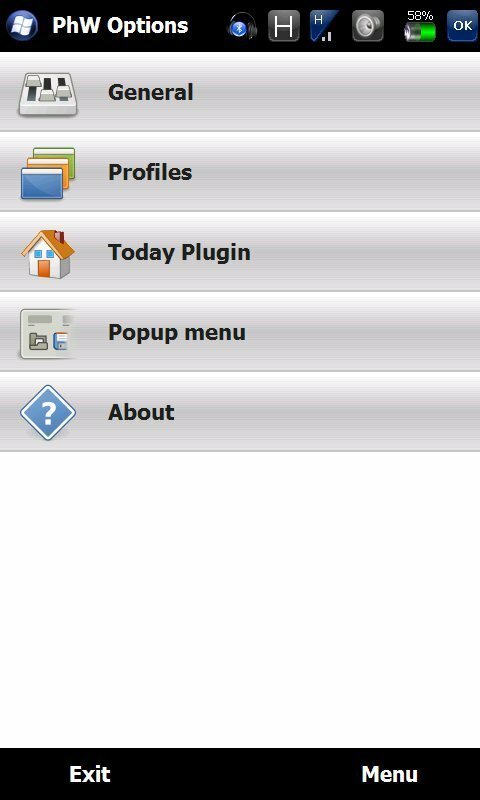 Additionally, PhoneWeaver includes a Today-screen plugin that gives you access to various functions with a single touch. 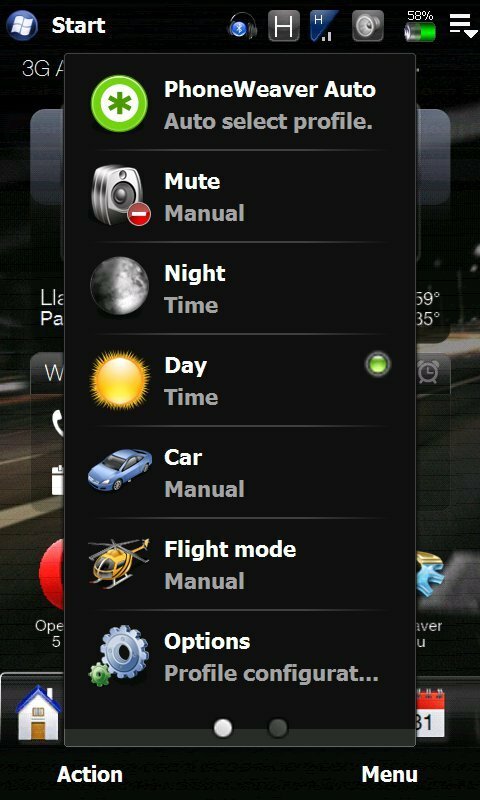 PhoneWeaver uses profiles to manage the way that your settings are applied. Using this program is all about the way that you configure your profiles. Once configured, in most instances your settings will be applied automatically. One additional piece of functionality that you may find useful is the ability to have a profile only modify a certain portion of the settings. You can also disable a profile in the case that you don’t want it to trigger, but want to save it for later use. PhoneWeaver is a very powerful and flexible tool. Having the ability to modify your settings based on your agenda or location gives you amazing control over how your phone behaves in certain situations. Though PhoneWeaver is extremely powerful, it’s not for everyone. If you need an extra level of management over your phone’s configuration; head on over to the WMExperts store, PhoneWeaver costs $14.95.